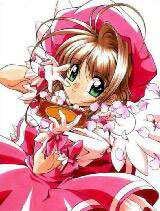 You are going to Watch Cardcaptor Sakura Episode 28 English dubbed online free episodes with HQ / high quality. Stream Anime Cardcaptor Sakura Episode 28 Online English dub Sakura and the Enchanted Cards, One of Sakura’s friends makes a jump and passes a P.E. test. But she and her other friends all think it was because she made a wish on the “Jump” card. Sakura becomes worried and asks to see she is relieved to see that it is not the real Jump card. any she still asks where they got them. they tell them at Twin Bells. Both her and Tomoyo go to check it out. They see Maelin there. After seeing that one is missing they ask who bought it and what it was. when they discover that it is a real Clow card they go looking for whoever bought it. After running into Syaoran, he and Sakura find Meiling. She refuses at first to give the card back, but when she releases the Shot card’s power accidentally and Syaoran is hurt, Sakura comes up with a plan to capture it and does so.